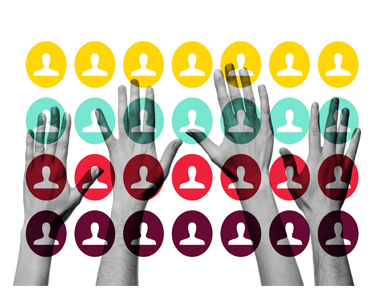 Do you want to be a brand that focuses on its users? non user friendly and ugly? services by understanding your customers. Modern users are savvy, demanding and their expectations are high. They want products and services that provide some level of value. They want them to be aesthetically pleasing, emotionally satisfying, as well as easy to learn, use, install, maintain and upgrade. The need to attract new customers and retain existing ones in a competitive business environment is pushing businesses towards the creation of products and services that deliver intuitive and tailored experiences. UX is defined as a person’s perceptions and responses that result from the use or anticipated use of a product, system or service. UI design is a balancing act between technical functions and visual cues meant to keep users on a page, on a site, and ensuring they respond to you in the right way- like ensuring they make a purchase, signing up for a newsletter and so on. An in-depth discovery phase is our initial secret sword for discovering the real user. The discovery phase allows us to deliver a project that connects the client’s goals with the user’s needs. This phase reveals the real pain points that users are experiencing, along with the thoughts and feelings someone develops as they use a product. The discovery phase reveals the how’s and why’s of the entire customer’s journey. Some of our consistent ways to make the discovery phase most successful is as follows. While these are just the consistent best ways we follow, realistically we need to understand that no 2 projects are alike, each project is unique and requires the discovery phase to be tweaked as per the uniqueness of the project. 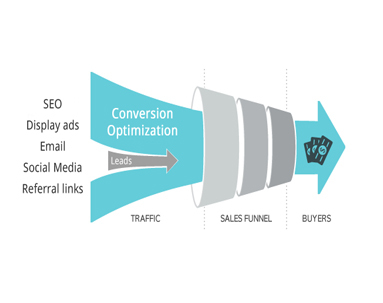 Analyze with quantitative data – Look for areas where users drop off, pages of high and low traffic, and missteps in the intended goal funnel. Measure multiple audiences, not just 1 – find a wide range of users who fall under each primary and secondary target audience. Journey mapping – Break down the user’s journey into steps, starting with when someone first realized they needed to fill a need or want. Empathy paths – Empathy maps really help us get into the heads of our users. We divide our empathy maps into 4 sections: thinking, seeing, feeling, and hearing. The focus in “Define” phase is to design actionable items. The ideas and solutions gathered in the Discovery phase need to be streamlined in the Define phase into actions. ROI multiplies when we know & when we ensure that the right information is presented in the right way, in the right place, and at the right time. This phase is where your idea actually starts coming to life. Wireframes are great tools to put pencil to paper and get started. Wireframes are fast, cost-effective, easy to change and talk about concepts. There are normally two types: low-level and high-level wireframes depending on how detailed we want to get. This phase serves as a blueprint to define all aspects of functionality, layout, navigation and interaction. Our team refines and validates all assumptions with carefully designed wireframes. Designing a website or app is much more than just putting shapes and colors together. We carefully combine the science of psychology with stunning design and attention to detail. The end result is a recognized and respected brand, and an elegant design that simply works. The change in experience is accomplished by eliciting an emotional response in the user which is tied to their actions and accomplishments. One of the primary purposes of UI & UX design is to add context to the natural behavior of users and, by doing so, to provide them with a story that they can take from the experience.We also make sure your product is a part of your brand’s unified entity and is presented with a required degree of integrity. As the UI & UX design nears completion, we test the interface with real users to validate all assumptions and test the overall usability. Based on real world observations and measurement, we iterate and refine the interface until all goals are perfectly met. Throughout the UI & UX Design process, it is paramount to evaluate each iteration of your product to look for errors and new opportunities. We analyze everything from demographics and location to buying habits and other key statistics to refine our approach to your product. Time is money and wasting time by making careless errors later down the road costs all of us. Errors are easily preventable if the time is taken to evaluate early. Feedback sessions with consumers and other key audiences provide the necessary knowledge we need to develop and customize the user interface and experience to fit their wants and needs. At the end of the day, designing a working & conversion driven UI & UX experience is at the core of your product and our team conducts regular meetings with you on the little details that can make your product a smooth experience for your audience. With more than a decade of experience, we make sure your application and website looks and feels exactly as designed and has been properly tested on platforms of your choice. iTransparity’s team of designers create clean, simple, elegant and brilliant user interfaces enabling your applications to not only be functionally strong, but also be visually appealing. We modulate this by applying research,information architecture, interaction design, UI & Visual design approaches. We realize the depth of creating exceptional UI. From sales,marketing to customer adoption and employee connection, the impact is high & strong. Knowing this, we execute briefly with extended research and design approaches that help us to deliver ROI on excellent experiences. Through our UI/UX design process, we are with you from idea to delivery as your co-creation partner. When most people think about design, their minds automatically go to the artistic elements of design — things like shape, color, and balance. But the beauty of great design goes much deeper than simple appearance. Good design increases the amount of trust a visitor has in your website and therefore in your business. Bad design sends them bouncing away in search of something more reliable. In fact, the design of your website impacts every single moment a user spends on a page. It can be the difference between a great user experience and a lousy one. 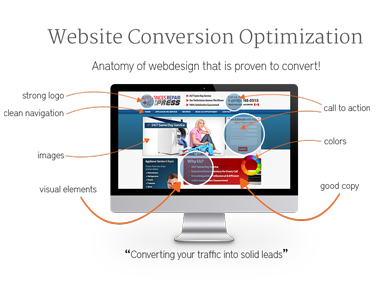 Ultimately, it can drive or lose conversions. Human-Centered UI & UX Design – Including user experience with navigation, search, accessibility and color schemes. Activity-Centered UI & UX Design – Reducing the number of users, objects, and steps necessary to complete each website or application activity. 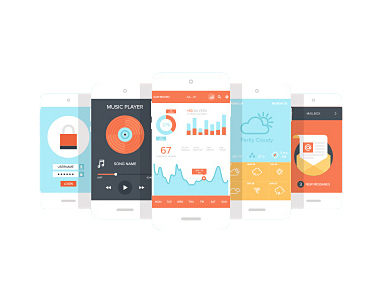 Technology-Centered UI & UX Design – Focussing on application limitations, feasibility, flexibility, and adaptability. Convergent UX UI & UX Design – Proven, targeted measures for improving usability and creating an enhanced positive user experience. When design focuses on user experience and user interface, it delivers measurable results, in the form of more conversions on sales pages, increased frequency and number of sales, and a more profitable bottom line. That’s real value. And it’s the real importance of good design. Good design increases the amount of trust a visitor has in your website and in the long run affects your business. User experience, or UX, can be a huge component of your brand as it contributes to a consumer’s overall impression of your business. The advantage of creating a consistent and functional UI/UX is that it ensures your web portal or mobile application will be recognized, remembered and respected. The understanding of which interface elements are needed before trying to implement them is an essential part of crafting UX, especially as users have diverse characteristics and their contexts are constantly shifting. Consider all aspects of the solution design as they can be challenging. Post-app and post-screen design will become more prominent. The cycle between a groundbreaking concept and a marketable product will grow shorter. A shift towards storytelling is on the move as the primary way to capture investor and executive attention will grow. In the coming years, more enterprises will put a premium on design skills, and HR organizations will start to offer design training to employees across all business categories, much as presentation skills classes are typically accessible to all.